The Naitch is going to Style and Profile in the United Kingdom, Read Below for details. TNA President Dixie Carter recently announced that Ric Flair will be in London,England on Monday May 24th (today) to make a major announcement concerning the upcoming TNA UK Tour. 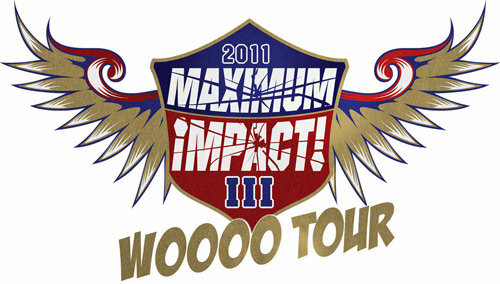 The event is being called the "2011 Maximum Impact III WOOOO Tour" Check out the Cool Logo above. My sources are telling me that Ric Flair is going to wrestle on this UK Tour and that the tour is going to be built around his name.This is a great idea by TNA because the U.S. ain't the only place that the "Naitch" is popular, he is very popular and respected in the United Kingdom as well.